2018 was a special year for everyone at Santa Maria BMX. It marked the 10th Anniversary of the track and we celebrated all year long. Thanks to all who have supported us throughout the years. We look forard to many more and wish you all the best 2019! Beginner League A Great Success!! Our beginner league hwas a great success with over 20 riders participating. They learned all the fundamentals of BMX racing in a fun and collabrative environment, and many have already continued racing on our regualr race nights. Thanks to all our volunteers that made this happen. Be on the look out for these new young rippers! STATE RACE/GOLD CUP QUALIFIER is in the books. WOW ! Our Gold Cup State Race was huge way beyond our expectations! 284 riders and 59 motos made for a crazy day. We would like to thank Al Roybal for announcing and making it great! HUGE SHOUT OUT to all our board members and SM BMX families who took so much time out of they lives the last few weeks to make our track the best it could be. We cannot Thank You enough ! Hope to see everyone soon . . . Thank you!! WE ARE HONORED TO HAVE 3 RIDERS FROM SANTA MARIA BMX REPRESENTING THE U.S.A. THIS YEAR!!!!!!!!!! 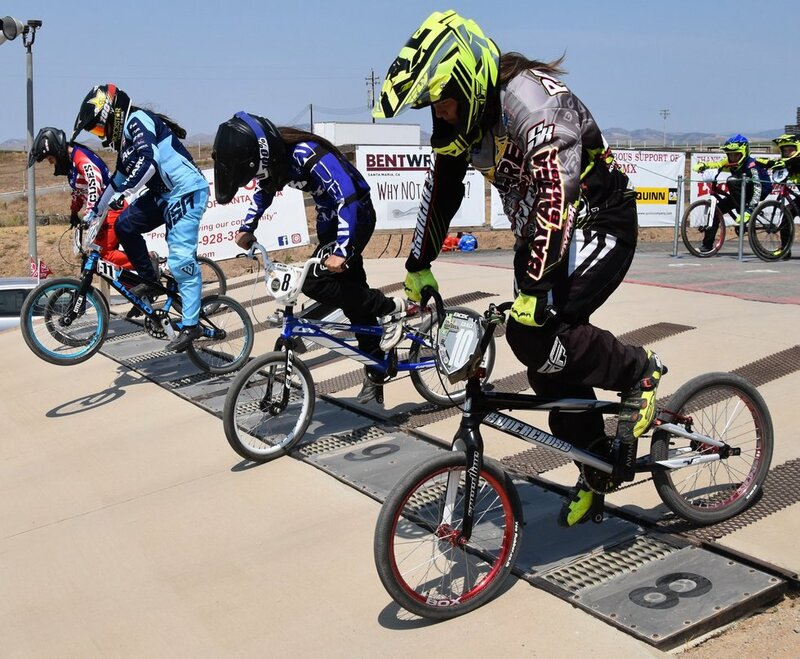 CAILEY PITA 10YR GIRL MAGNUS CANBY 11YR EXPERT BOY GRACE PADILLA 14YR GIRL SANTA MARIA BMX IS VERY PROUD OF THIER HARD WORK AND DEDICATION TO THE SPORT OF BMX . WE CAN'T WAIT TO CHEER THEM ON IN ROCK HILL, SC IN JULY!!!!!!!!!!!!!! HAPPY HOLIDAYS FROM SANTA MARIA BMX!!!!!! WE WISH YOU AND YOUR FAMILY A MERRY CHRISTMAS AND A HAPPY NEW YEAR. WE ARE LOOKING FOWARD TO A GREAT 2017 SEASON !!!! !